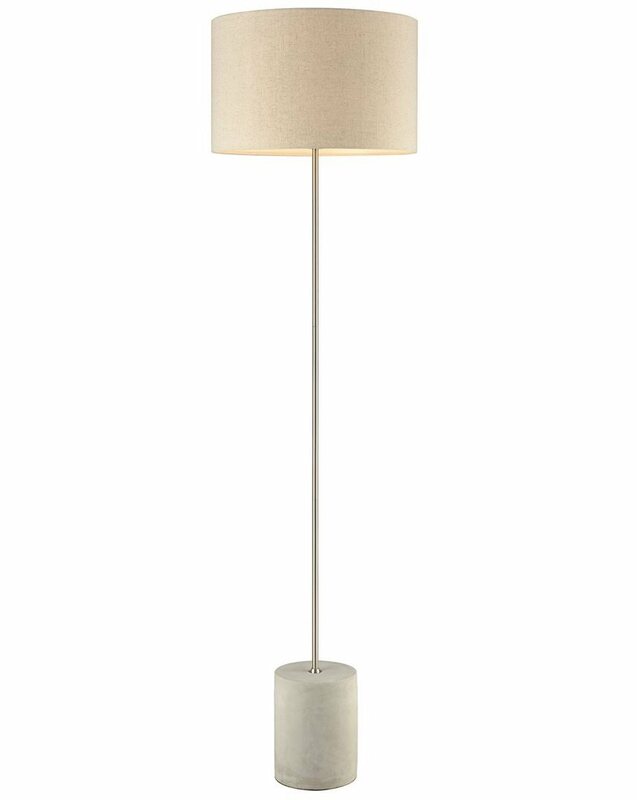 The Katia Floor lamp brings a cool look to your space with polished concrete base, a nickel finish and a linen shade. This stylish lamp will add a simple yet chic look to your home. Features 1 100W bulb.